Then why not get your recycling sorted with us – we love zero waste events! 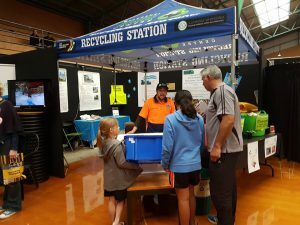 Our Recycling Station and Gazebo is often seen at many local Whanganui events; including home shows, concerts and sporting fixtures. If you have an upcoming community event you can contact us to help arrange your recycling needs. 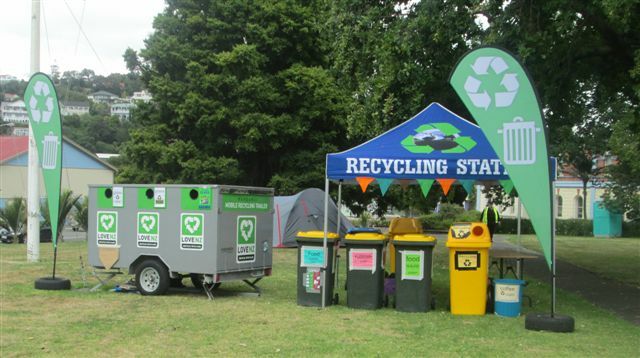 The Gazebo, signage and specific colour-coded bins are a part of the ‘pop-up recycling package’. Lead the way in helping to care for our Whenua, our Awa and our Moana! The WRRC has teamed up with a Zero Waste Co-ordinator who can assist you with your Waste Management plan. Hadi Gurton 021 023 20033. Get in touch with him now. Early preparation leads to better outcomes! Our Recycling trailer can also be booked out for your event. For more info on the recycling trailer click here.